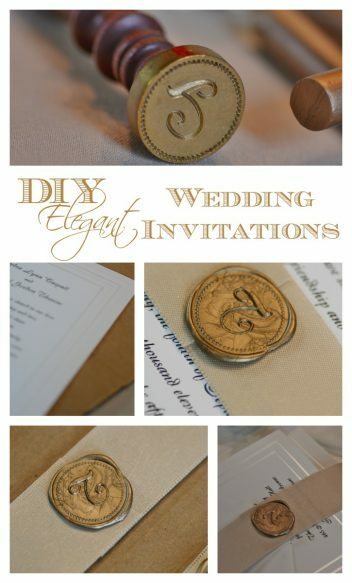 I knew I wanted an elegant wedding invitation, but I just didn’t have the budget for the ones I found online or at my local printer. I simply loved the look of the ribbon embellished invitations I found, but with all of the other expenses, I knew it was out of the question. So I decided to make my own. Well – I didn’t actually make the invitation. I created the elegant look. I began by purchasing an inexpensive invitation I found online. 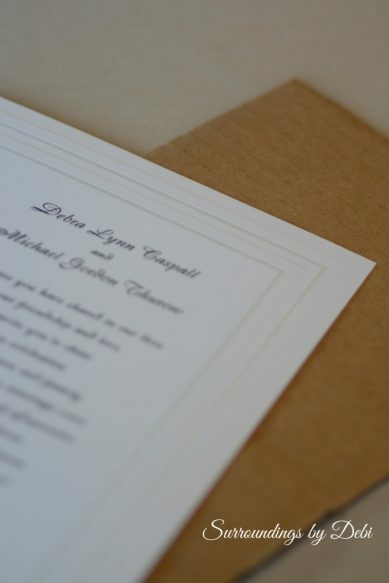 I chose a simple white invitation with just a touch of pearl trim. Thinking back to long ago personal letter writing days, (you know – those days before email), I remembered a time when wax seals were popular. I wondered if I might still be able to find a wax seal for this project. 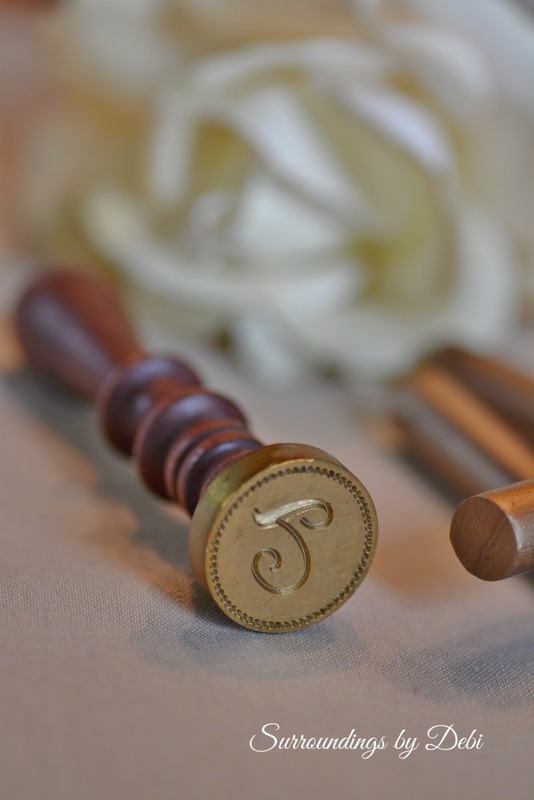 Searching on line, I found the perfect wax seal stamp at a wonderful place called Nostalgic Impressions. They also carried all colors of sealing wax. I chose to go with a gold toned wax. Best of all it, worked perfectly in the glue gun I already had. Nice! Long ago when I used a wax stamp, you had to drip the wax by melting it with a flame. This was so much easier! 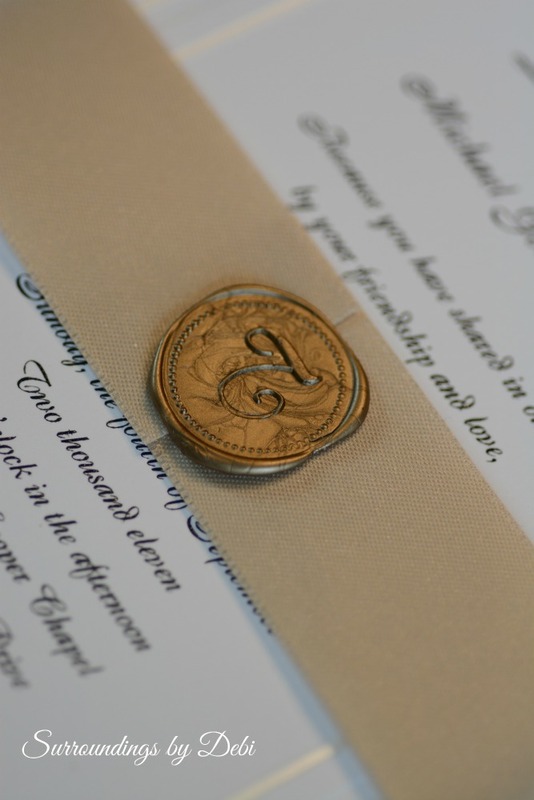 Using a piece of ribbon and the wax seal, I was able to create an elegant addition to my plain invitation. To create the ribbon wraps, I began by cutting a cardboard form the width of my invitation. I made my form large enough to be able to do several wraps at a time. 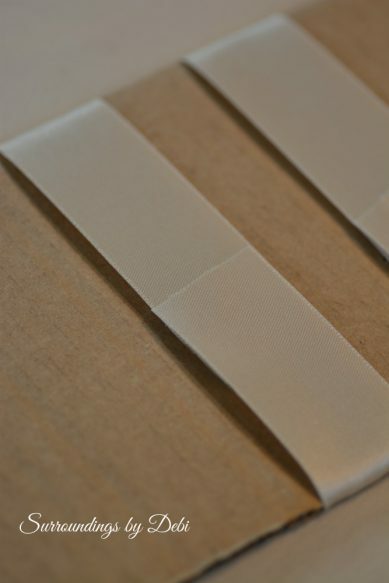 The ribbon was then placed around the cardboard and secured closed with glue dots, found in the craft section of my favorite store. After practicing on a piece of aluminum foil to test the proper glue gun temperature, amount of wax and pressure I needed to use on my stamp, I was ready begin. 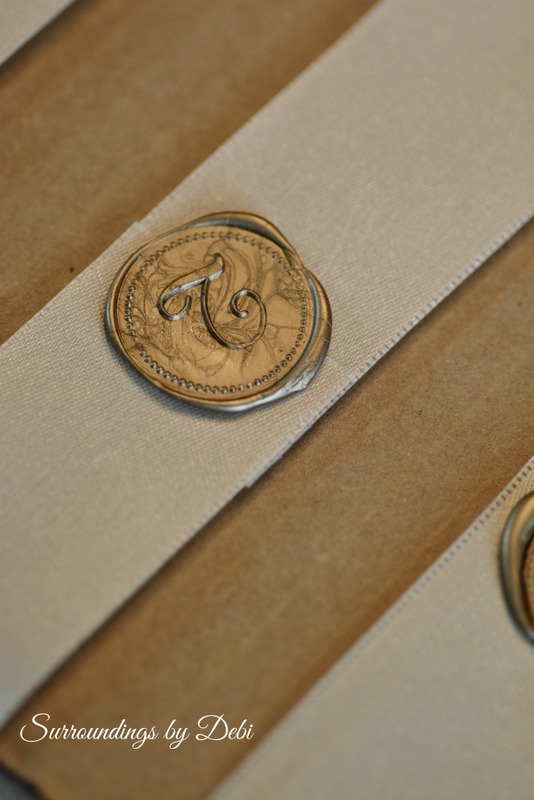 I applied the wax to the ribbons and began stamping the wax embellishments. 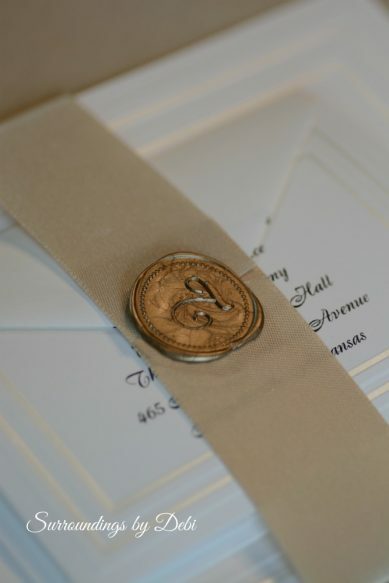 Once I had created the ribbons, I simply removed them from the cardboard form and slipped them over the invitations. 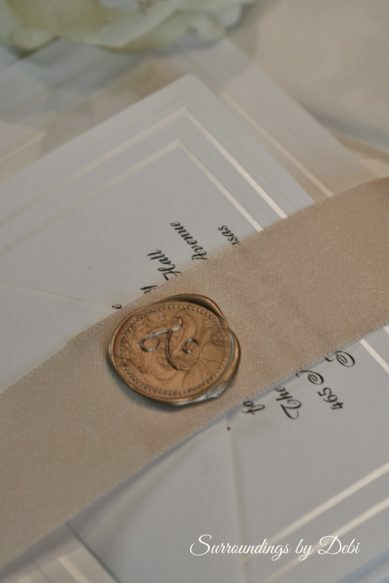 The additional reception and response cards were tucked beneath the ribbons as well. I had saved enough money on the invitations that I was able to purchase the ivory pearl inner envelope enhancement to add additional elegance. A perfect elegant invitation – uniquely my own. These simple, elegant invitations can be easily customized for any bride or wedding color scheme. If you enjoyed this post, please share it and like it on Facebook, Pinterest, Twitter and Google! You can see what I’m “Pinning” HERE! Beautiful! I love the idea of the wax seal. Pinned! Thank you for sharing at Merry Monday! I love this idea, Debi! I’ll be sharing your project at The Scoop on Monday night. Thank you for linking up! Suzy thank you so much for sharing my project. I am honored to be a part of the Scoop. One of my favorite parties and you have one of my favorite blogs! Thank you for the nice compliment. I loved the seal as well. We carried that theme through to the programs too. You can certainly save a lot of money and make everything personalized by doing it yourself. I love the idea of adding creative touches with your own ideas. You are more than welcome Debi. 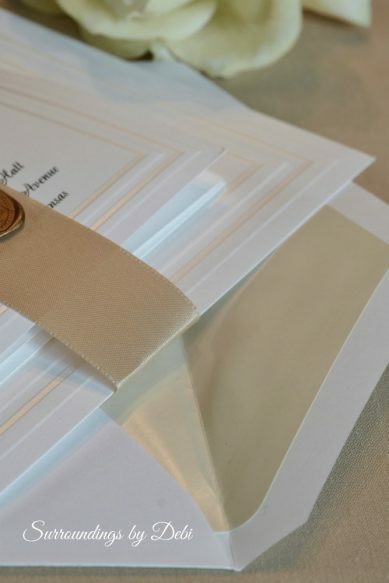 I neglected to mention that for the enclosures; I made what I would describe as a pocket envelope sleeve which I admit was a challenge to format and cut to size in order to have them stacked appropriately. Also as the wedding was basically a two-tiered affair in totally two different climates, the portion in Jamaica dictated a beach theme whereas the one here in Canada held three weeks later was more traditional in style so we chose the Calla Lily for our theme to decorate around etc. i.e: As the venue had trees decorated for Christmas I stripped them down to their white lights and used large artificial Calla Lilies and streams of white Tulle paired with white garlands of pearls and did the same for the linen dressed tables using clusters of miniature ones. Also for one of the favours I made handmade ‘wax’ (and long stemmed) candle Calla Lilies plus for honoured guests (Grandparents and a few Great Aunts and Uncles) I made them corsages/boutonnieres with ‘fresh’ miniature ones thanks to some wonderful instructions that I found on the internet … as growing or arranging flowers unlike yourself is not my forte. This sounds beautiful and so creative! Don’t apologize we are all here to learn and you have shared some wonderful ideas. What a pretty blog! Thank you so much for linking up to Merry Monday this week! I am sharing your post today on my G+ Hope to see you next week for another great party! Have a great week! I will be there Kim! Thanks for the share! Thanks Amy! I loved adding a personal touch to the wedding! These look very pretty! Such an elegant idea. Thank you Dagmara. I love the way they turned out. Thanks for stopping by Dori! This is such a gorgeous idea, Debi! 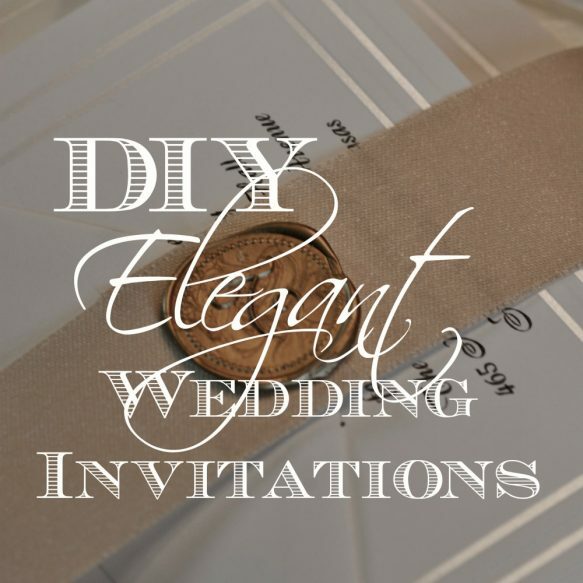 I’m currently stuck on how I want to do my invites…I want elegant, but I also want them to be as affordable as possible. So many choices!! There certainly are! Good luck with your planning! I am sure it will be gorgeous! Thanks Jas! It’s always fun to party with you!